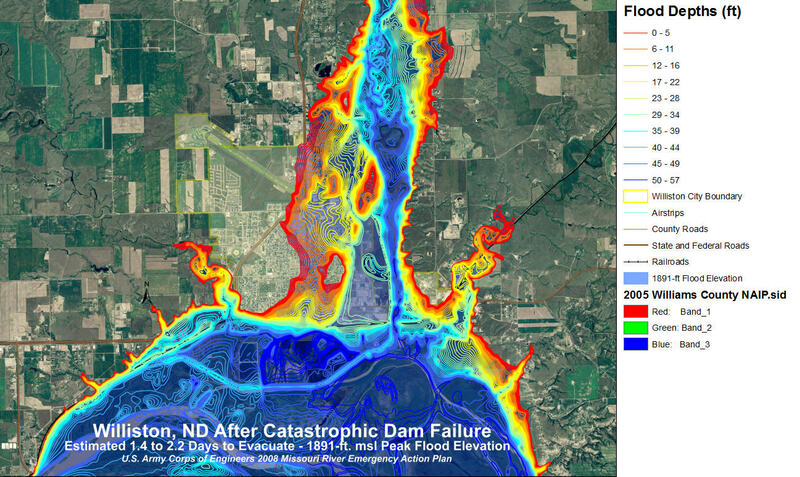 Projected flooding in Williston, ND after catastrophic dam failure. Apr 2, 2012 • Floods are considered the number one natural hazard, causing more deaths and damage year after year. 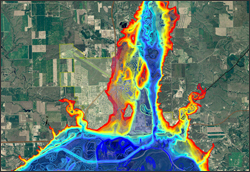 The National Science Foundation (NSF) provided funding to a college in North Dakota for GIS and remote sensing technology and training (iGETT). That college, in turn, created a study to assess risks to local communities and facilities in the path of potential flooding. Jacqueline Stenehjem, former assistant professor at Williston State College, Williston, North Dakota and Dr. Peter G. Oduor, associate professor of geology and geography at North Dakota State University, describe how the grant from NSF benefited that population on many levels.